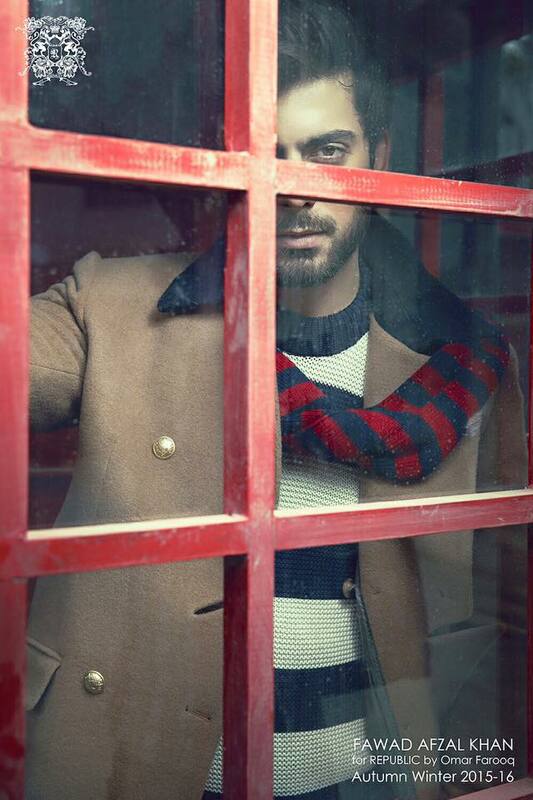 The King of Khan-dom, Fawad Afzal Khan, has done a jaw-droppingly sizzling photoshoot for Republic by Omar Farooq Autumn/Winter Collection 2015-16. The charmer has done it yet again, hasn’t he? A shot from the latest photoshoot for Republic by Omar Farooq’s Autumn/Winter Collection 2015-16 has also graced the cover of latest Paperazzi Magazine. Here it is! The Pakistani celebrity made his Bollywood debut with Khoobsurat opposite Sonam Kapoor and has added several Indians to his lengthy fan list. He is recently in the limelight for his latest Tapal TVC with Moomal Sheikh; portraying a perfect husband who makes tea for his wife, the ad just made all girls fall in love with the heartthrob all over again. 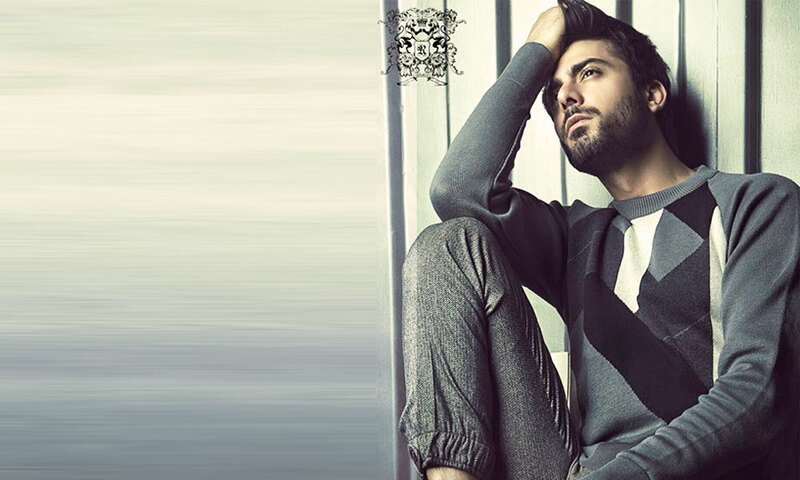 The Humsafar star is busy shooting Bollywood projects and is therefore not seen in dramas lately, but there is still hope for his Pakistani fans as he has not given up on modeling! We’ll soon be seeing the handsome hunk in Bollywood’s upcoming movie ‘Ae Dil Hai Mushkil’ with Aishwarya Rai Bachchan, Ranbir Kapoor and Anushka Sharma as well as ‘Kapoors and Sons’ with Sidharth Malhotra and Alia Bhatt. We just can’t wait to see him on the big screen again! 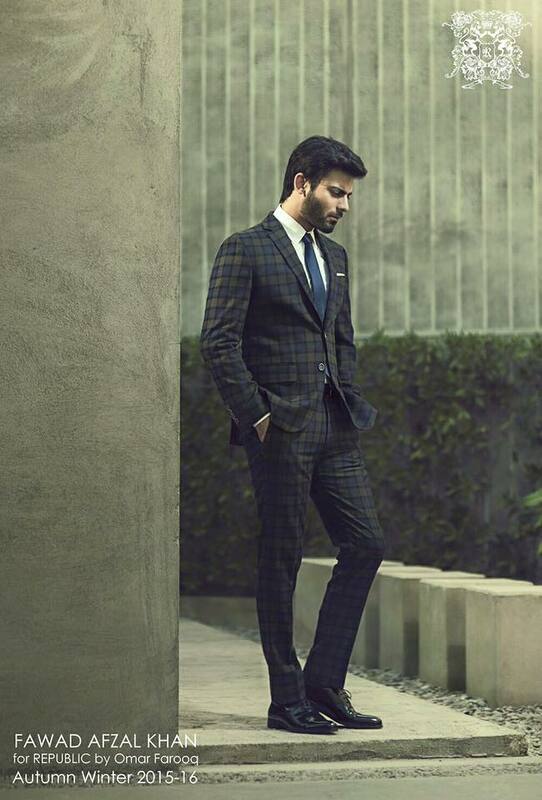 Republic by Omar Farooq Autumn/Winter Collection 2015-16. Sidharth Malhotra and Alia Bhatt.